The International Association for Media and Communication Research (IAMCR) stands in solidarity with university professors, students and media professionals in Venezuela whose freedom of inquiry and expression is being systematically undermined by the government of President Nicolás Maduro. News portals are being blocked. Newsprint is being rationed and television and radio stations closed. Police, military and paramilitary groups are assaulting journalists and media workers. Citizens are being imprisoned for expressing their opinions or for sharing information through social networks. These actions are taking place in the midst of a grave social, economic and political crisis, and widespread violations of human rights, as recently documented by the UN High Commissioner for Human Rights and the Panel of Independent Experts convened by the Organization of American States. 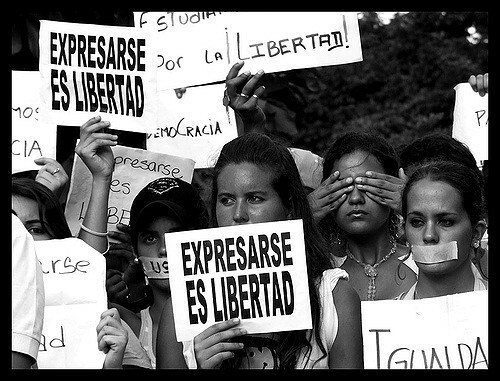 As an international academic association, IAMCR calls upon the Venezuelan government to respect academic freedom and freedom of expression, to ensure diversity of media and the right of journalists to report and comment, to allocate the necessary resources to adequately fund public autonomous universities dedicated to free and principled inquiry, and to release those currently in custody for the expression of their views. This text of IAMCR's statement was drafted by the Clearinghouse for Public Statements and approved by Professor Janet Wasko, president of IAMCR.